Would you rather be wet or cold (as in dead)? The Umbuster is one tough umbrella that wants to make sure that you are safe from not only rain but a host of other difficulties that await you on the mean streets. 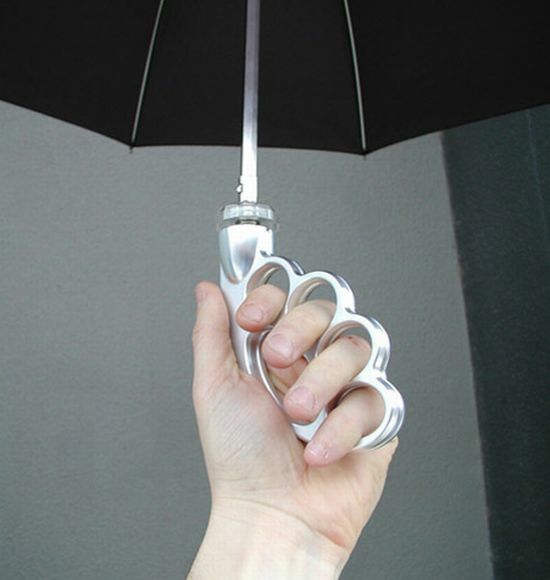 The handle of this concept (not too sure) umbrella is designed as a brass knuckle. It is so formidable a weapon that the Victorian Police has classified it as a Class 5 weapon, requiring a license for possession. 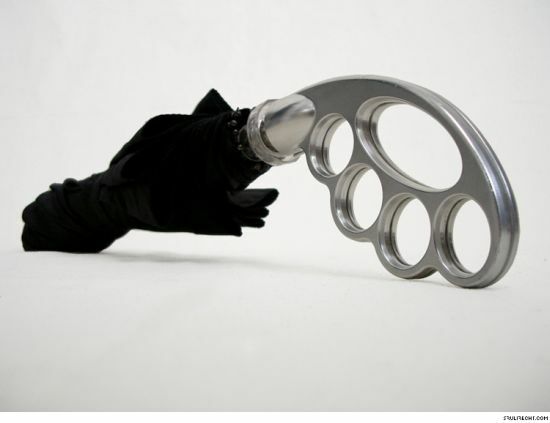 Also the knuckle design makes it kinda easier to grip the umbrella. So if you are going on a dirty errand on a wet and windy night, Umbuster is one companion that youâd surely want by your side.